www.twoturtledoves.co.uk - Buy online - "A pair of turtle doves are a symbol of friendship and love.As long as each of you have your turtle dove you'll befriends forever." Last year I was off to New York Christmas shopping, friends started to put in their shopping list requests. The main item on everyone's list was a pair of the two turtle doves from Home Alone 2 - Lost in New York. I thought what a great idea, a lovely stocking filler but also a beautiful Christmas decoration for your Christmas tree. I searched high and low only to bring the disappointing news back that I couldn't find any. So I have put my own spin on them and now is your opportunity to have your very own 'Two Turtle Doves'. Manufactured in the UK in fine bone china, these beautiful doves are supplied with gold or silver thread ready for hanging. You will also receive 2 velour pouches and a black presentation box. 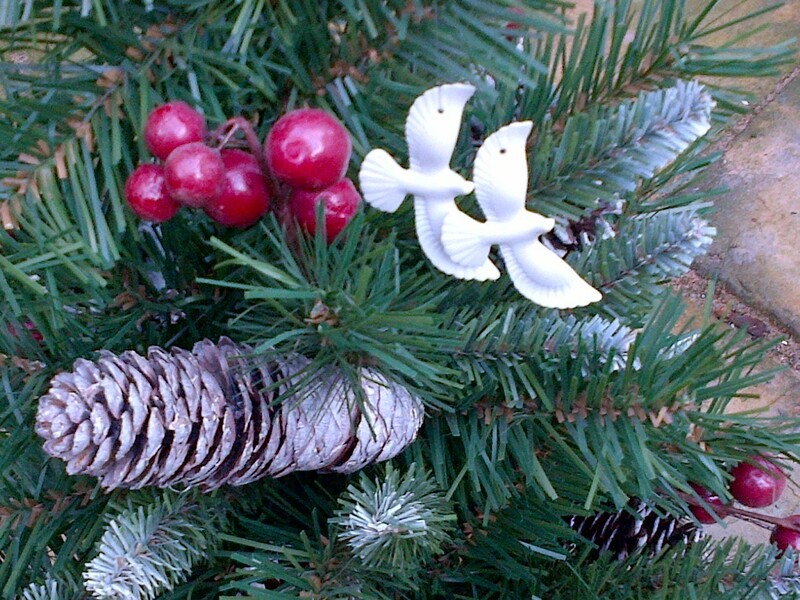 The doves are ideal gifts for Christmas, wedding favours. Mothers Day and of course valentines. Our doves really are the perfect gift for a loved one.